It is open to all levels of experience and whilst all materials such as charcoal, paper and drawing boards will be supplied anyone wishing to bring their own materials are welcome to do so. 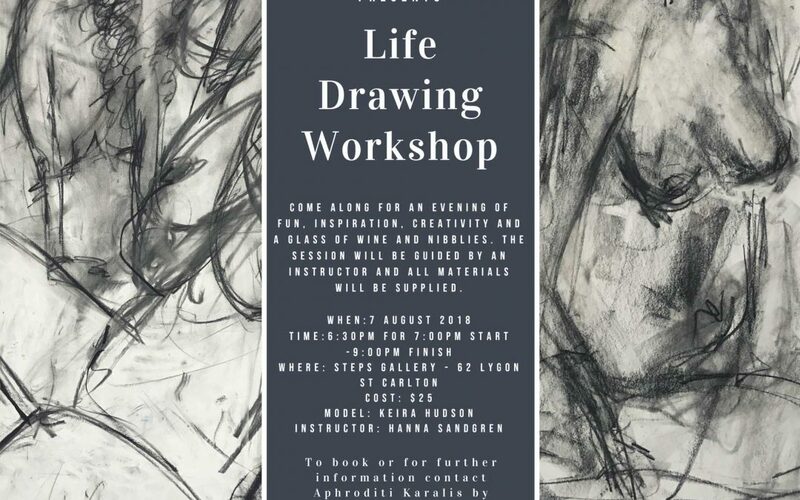 This is a fantastic opportunity to draw from a live model (Keira Hudson) with a number of different exercises assisting in loosening up drawing skills to create the final masterpiece. An art instructor (Hanna Sandgren) will be on hand to guide the session. Refreshments will be available and there will be numerous short breaks throughout the evening. So come draw with us over a glass of wine surrounded by works of inspirational art.